Not content with your everday average-sized T-Rex, and disregarding all previous teething problems with the park, the powers-that-be have opted to create a bigger, faster, stronger, nastier dinosaur. 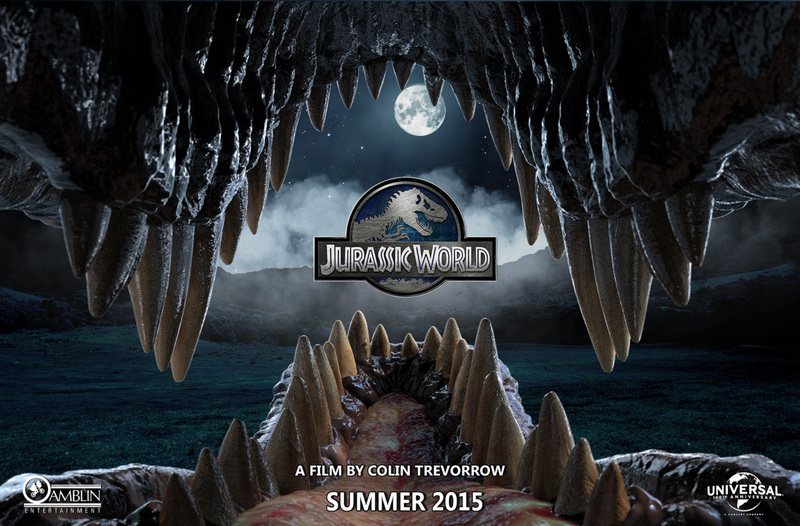 Take a mighty step forward Indominus Rex. Ever seen that episode of ‘Family Guy’ where Peter comes up with a new script called ‘Big Jaws’, about a bigger Jaws that eats the smaller Jaws, so Jaws teams up with the humans against the Big Jaws? Well, the dinosaurs aren’t exactly lining up with the humans but they are are being killed for sport by the new lady in town. She’s not only bigger and faster than all before but highly intelligent too. Busting loose she has the foresight to tear out her tracking implant, and it’s down to Chris Pratt on a motorbike and lots of guns and helicopters to save the day. We hope. 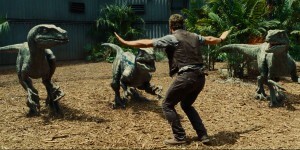 But not before the dinosaurs have run amok, bringing a whole new meaning to feeding time at the zoo.